Is an E-Book as Good for Your Child as a Traditional Book? There are many delightful depictions of stories available electronically.But are they as worthwhile to your child as reading a traditional book? Childhood Development experts have not yet determined the answer to this question due to the fact that e-books have not been around long enough to collect the data necessary to come to a decision. The topic is of high interest to educators worldwide, and numerous studies have been conducted. 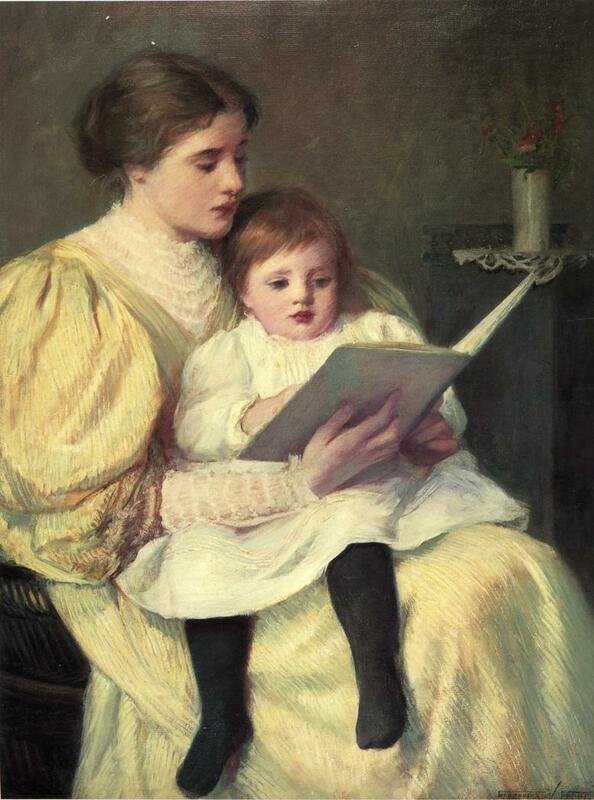 At best, reading to a child is not a static activity. Children feel warm, secure, and loved sitting next to a parent or grandparent with a book. They receive a not so subliminal message that books are valuable, and that so are they. 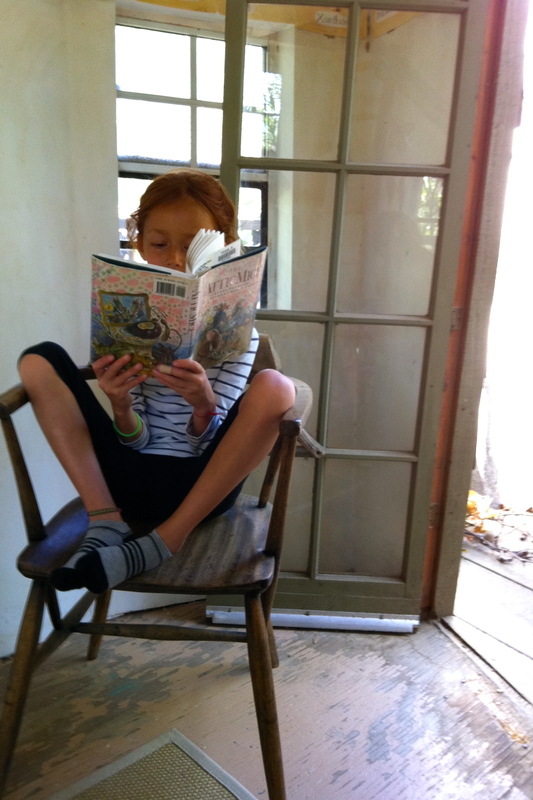 This feeling can last a lifetime, conjuring pleasant and joyful memories associated with books. Even very young children learn quickly how a book works; front to back, page to page, top to bottom. They see as they follow the story, that those strange shapes called letters have something to do with spoken words. More importantly, they are not distracted by the bells and whistles designed to enhance the e-book experience, they are free to comment, to ask questions, to ponder new ideas and make connections. The adult reader can extend these connections and make them personal. “Remember when we went to the zoo like Curious George?” “Was the lion scary?” “How many monkeys are in the tree?” “What colors are the flowers?” There are countless ways to extend even the simplest of books. Only the parent knows the child’s most passionate interests. If your child is fascinated by anything from the solar system to insects, you can use this knowledge to make the book that you are reading a more interesting and individual experience….an illustration of a butterfly can lead to a conversation about metamorphosis, and, more importantly, it can lead you outside…to look for butterflies, to talk about what butterflies like…”Do they like snow or sunshine?” “Do they like gardens or city streets?” “Do you think that they would like to be caught and put in a box?” “Why?” Fiction leads naturally to non-fiction. There are a multitude of beautifully photographed scientific books for children. I like the ACORN series, published by Capstone Global Library, because it works equally well for toddlers as early readers. E-books have their place, but use them sparingly. I see so many children sitting in shopping carts or at restaurants with their brightly colored devices. I’m sure that these children are mostly watching high quality applications. But, they are missing the grocery store! They are missing the myriad opportunities for language that present themselves outside of the home, starting with, simply, conversation. Reading is not only about being entertained. A child can learn much about nutrition from seeing you read the ingredients of a cereal box. He can learn about choices, and how you used reading to make them. Most importantly, your child is present in the real world rather than a virtual one, absorbing, as children so readily do, the connections between the words they see everywhere, from street signs to menus, and how they are used to communicate important information. New York Times Tech Blogger – Nick Bilton-on wandering into a West Village bookstore.